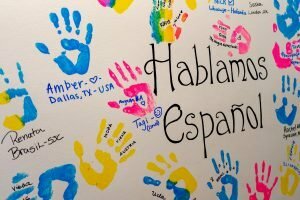 Most of the travelers coming to our school to learn Spanish, either need Spanish for their jobs, to be able to communicate while traveling through South America, because they need it to communicate with family or friends or just because Spanish is one of the 3 most spoken language in the world! Werner, a student from Germany, decided 10 years ago that nothing was impossible for him as he started taking Tango classes! His motto is “life-long experience”: for him, we nether stop learning and nothing can stop you but yourself! So he decided to learn Spanish as he was learning Tango. Since then he has been coming to Buenos Aires, capital of Tango, every year to dance with the pioneers of this wonderful dance. And each time, he would come to learn Spanish as well. It is always hard to learn a language when you can only do it once a year but nothing can stop Werner! And every time, he graduates with a better level of Spanish! 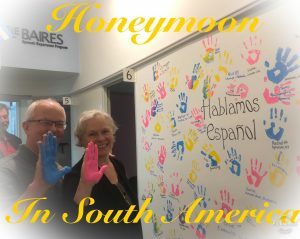 Ron and Joan, a just married couple from the United States, decided to travel through South America for their Honeymoon! And they both decided to learn Spanish meanwhile! Taking breaks between the weeks of studying to travel and discover all the amazing landscapes of Latin America! 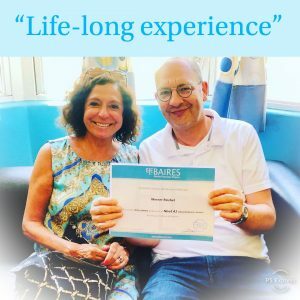 Even though Ron never learned Spanish and it is a real challenge, nothing would stop him from learning as much as he can while traveling with his lovely wife! Hamish, from Australia, first came to Argentina many years ago and fell in love with the country and its beauty. So much that he bought a house here in Buenos Aires. That’s how he decided to learn Spanish as well every time that he comes to Buenos Aires. 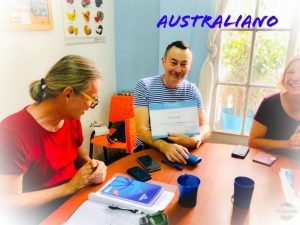 What better option to enjoy your stay in this country than not only learning its language, but also meeting new people and enjoying the city with a new family? 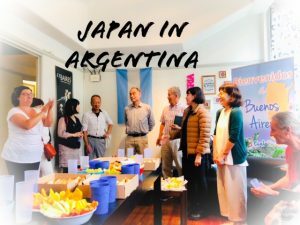 Yoshimi, Yumeko, Masaru, Hisami, Satoshi, Seijiro and two Tomoko, are a group of 8 Japanese students that came with a really specific goal: volunteering! They all decided to come and help the community of Argentina doing volunteering jobs for 3 months up to 2 years!!! And they decided to come to our school for the first two weeks to do an intensive Spanish course to learn as much as possible in a short amount of time! What a lovely reason to come to Argentina, South America! And you? What is your story? What is your motivation for traveling and learning Spanish? If you’re still hesitating, just do it! Don’t wait any longer! Enroll and come join us! We can’t wait to hear your story and meet you!